Reposted from Trains Magazine: Officials at Metra say it’s time to tackle a topic that many in the rail industry have long considered taboo: death by train. The commuter rail agency, in partnership with Amtrak and the DuPage Railroad Safety Council, sponsored a daylong symposium entitled “Breaking the Silence.” The Sept. 27 session at Union Station was intended to coordinate a strategy to prevent suicides along the tracks. 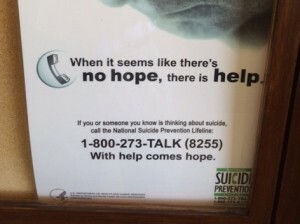 The agency gathered nearly 100 mental health experts and community members to help in its campaign to install suicide prevention signs along its 11 lines by the end of the year. Metra Board Chairman Norman Carlson said the agency wanted to develop a collaborative regional strategy to address the problem. The event coincided with Rail Safety Week. 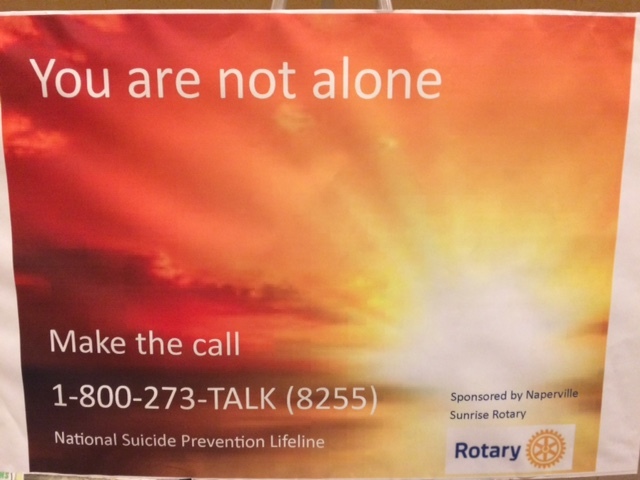 September was also National Suicide Prevention Awareness month. 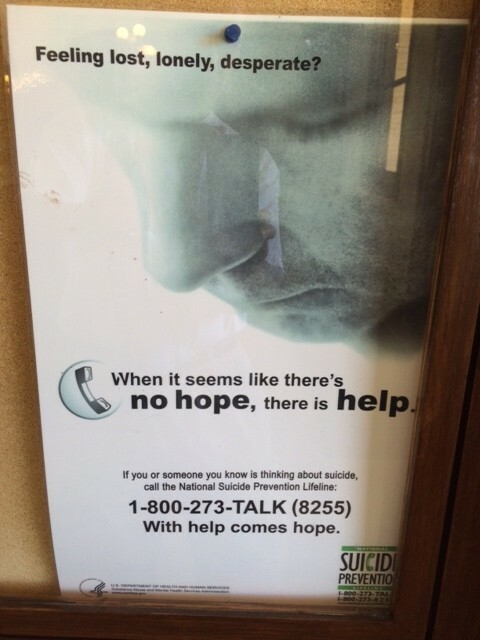 Metra announced the campaign in July after a spate of suicides in the Chicago area. So far this year, Metra said it has tallied 21 suicides or suspected suicides, more than in each of the previous five years. The problem of suicide by train is particularly acute in the Chicago area, experts say, because the city is the nation’s railroad hub, served by six Class I railroads and Amtrak. Metra itself runs more than 700 trains a day. The agency said it has so far trained more than 700 engineers, conductors and other employees to recognize individuals in despair and to intervene. Every railroad needs to operate on schedule, right Metra riders? If the timetable says departure is at 8:15 and arrival is 8:45, passengers expect Metra to stick to it. Doesn’t always happen, of course. The commuter rail agency’s board has a policy that says that its chairmanship should operate on a schedule, too. That policy, adopted in 2012, requires that the leadership post be rotated every four years among the board members from Cook County, including Chicago, and the board members from one of the five other counties that Metra serves. It’s kind of like a term limit. That policy was one of the first reforms to emerge from the Phil Pagano scandal, and was aimed at curbing the kind of one-man rule under which Metra operated for decades. You remember Pagano? He was the autocratic executive director who committed suicide in 2010 after being caught stealing $475,000 in vacation pay and forging memos to cover it up. For too long, Pagano ran Metra virtually unchallenged. Metra’s 11-member board of directors, comprised of political appointees hand-picked by the six county chairs and commissioners, gave him free rein. For most of this time, Metra’s chairman, from distant McHenry County, was Pagano’s enabler. Patronage was rife. Contracts went to pals. One board member went to prison. Pagano’s unchecked greed exposed a glaring lack of oversight by Metra’s directors. An outraged public started paying attention, and the politicians – finally put in the spotlight themselves — began feeling the heat. Metra announced this afternoon that it has fixed a “glitch” that has prevented it from sending out service alerts via email and Twitter for the past two days. The outage affected about 100,000 Metra customers who have signed up to receive the alerts or tweets, the commuter rail agency said — in an emailed announcement. The problem is thought to have been related to a queuing problem with the agency’s new email service, Metra said. Metra customers can sign up on the agency’s website for the alerts, which warn of delays, cancellations and other service problems. “While it took longer than we wanted to resolve this glitch, we can now report that the Metra alert system is back online and fully functioning.” said Metra Executive Director/CEO Don Orseno in a message to customers. 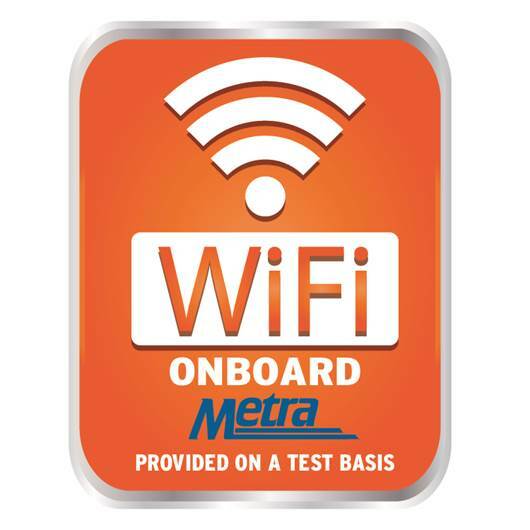 Want free Wi-Fi on your next Metra ride? Good luck and keep your eyes peeled. After struggling to offer the amenity for years, Metra has announced it is running one Wi-Fi-equipped rail car on each of its 11 lines as part of a pilot program to test whether the commuter rail agency can provide dependable, free Internet access. 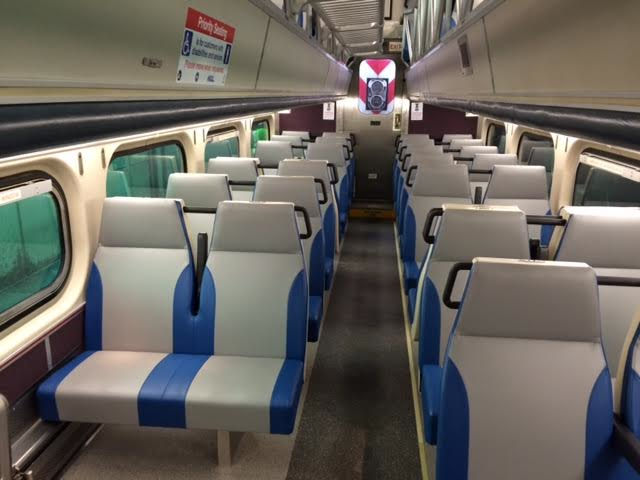 Metra says it will run the Wi-Fi cars several times a day on each line, but amid at least 800 coach and Highliner cars running on 700 trains a day, the hot spots might be a bit hard to find. To make it easier, Metra says it will post signs on the Wi-Fi cars and position them at the end of the trains, opposite the locomotives. Conductors will also announce if their trains have a Wi-Fi car. Metra says hot spot usage will be limited, generally to a one megabyte download speed per user. This will allow users to check email and browse the Internet, but isn’t intended for streaming video, Metra warns. In addition, the agency cautions that there may be “dead zones” along the routes. “If it’s financially feasible and our customers like the free service, our agency would seek funding or sponsorships to install Wi-Fi on more of Metra’s railcars,” Orseno said. Metra said early Thursday that the Union Pacific has completed repairs to a signal facility that was damaged by a fire Tuesday and that it expects to run normal weekday schedule on the UP West Line today. “Repairs continue today to a facility that controls the switches and signals in the vicinity of 25th Avenue between the Melrose Park and Berkeley Stations. The facility was damaged in a fire Tuesday morning and is on track to be rebuilt and back in service by midday Thursday. “Until then, all UP West Line trains, including 60 Metra commuter trains and all freight traffic, must stop, get permission to proceed and then travel at restricted speeds through the two-mile area. Based on our experience with the rush periods on Tuesday night and this morning, we have reduced the expected delays to trains passing through the affected area to up to 20 minutes from up to 30 minutes. “Therefore, while most inbound and outbound trains are expected to depart on time, they could incur delays of up to 20 minutes en route until the afternoon rush hour on Thursday, Feb. 11. Departures later in the rush hour will be delayed because the train sets used in those trips will have been slowed passing through the affected area during earlier rush-hour trips.